You’ve seen commercial products like Acronis True Image and Norton Ghost for copying disks quickly and easily, but you may not have ever heard of the best software in the world to duplicate entire disks – even disks with multiple partitions – at a logical level: Clonezilla! Clonezilla is available at http://clonezilla.org/. It’s a Linux live CD that’s Free and Open Source software you can download quickly. Use it for disk to disk clones, make an image of a disk on a hard drive for imaging other disks or save a complete snapshot of your file system. Clonezilla does not make a physical level forensic copy of a disk! For that, you need DD, other utility or my favorite, Guymager. You can read about Making a Forensic Disk Image Using Guymager HERE, but today we’re not talking about forensics. We’re talking about basic bread and butter tech support. Just recently, I had a client with a Windows PC that had a popup error saying “Windows detected a hard disk problem” and offered to begin a backup. I was able to get a new hard drive, connect it and the original drive, and use Clonezilla to duplicate the drive before there were any unrecoverable errors. This fixed the problem very quickly, without having to re-install anything. In the tutorial below, I’ll be cloning a 500GB notebook drive to a new SSD to make it run quicker, cooler and with less power usage. It also has a full-featured enterprise imaging system designed to host multiple disk images on a centralized image store and allow large deployments using PXE boot. That’s outside the scope of this tutorial, but you can read about it on Clonezilla’s site. The setup I’m using here is a homebuilt desktop PC built from a barebone kit a couple of years ago. I don’t use it as a PC any more, but keep around for jobs like this. It has a power supply with plenty of leads, and a surfeit of SATA headers on the system board. Here, I’ve connected the source drive to one SATA port, the destination drive to another and connected power to both drives. Boot Clonezilla from a CD (it’s less than 300MB so it fits nicely on CD media, no need for DVD) or a USB stick (you can get instructions on how to make a bootable USB on the Clonezilla website). Hit Enter here to take the default option. 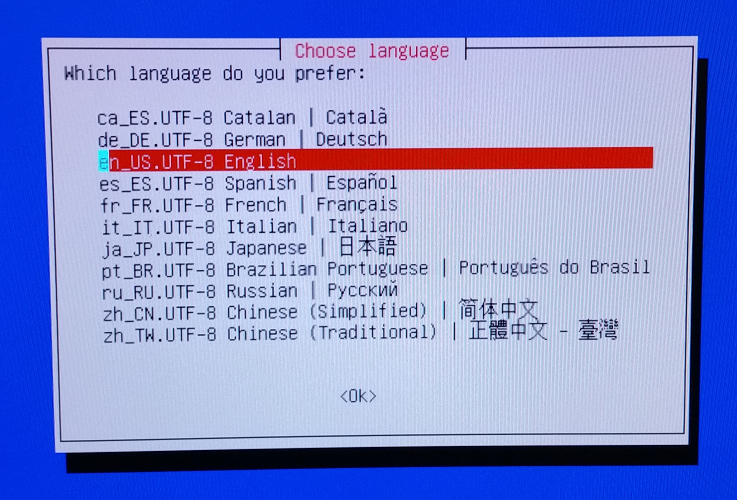 Choose your language on the next screen, tab to and hit Enter. 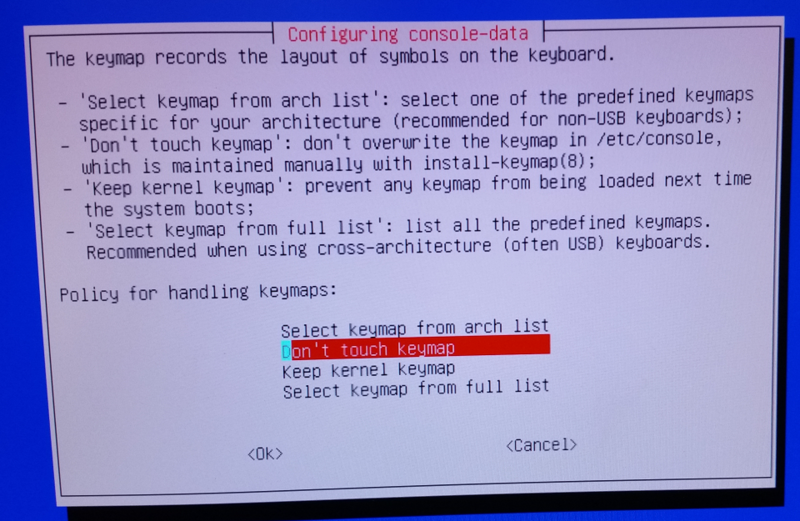 Accept “Don’t touch keymap”. Tab to and hit Enter. Start Clonezilla – Tab to and hit Enter. Here, we’re cloning a disk directly to another disk (the fastest method). Still, take a look at the choices – if you don’t have a cloning system with multiple ports like this desktop, you can still use Clonezilla. Clone to a disk image on an external USB disk drive or onto a local drive that has sufficient free space to hold an image, then run Clonezilla a second time to clone from the image back to the new drive. It’s easier and quicker if you have a desktop you can use like this one, but it will work fine with an external USB drive. It just takes twice as long. Tab to and hit Enter. Beginner mode is fine for what we’re doing here. Clonezilla has plenty of scenarios built into beginner mode. Expert mode is used when you are, for example, cloning onto a larger drive (perhaps your client ran out of space and this is why you’re cloning to a larger drive) and you want to expand your partitions proportionally on the new drive. This will be a disk to local disk clone. If you don’t have a desktop with more than one SATA port, you can clone to an image and write the image back to the new disk after installing it. Go to Clonezilla’s website to read documentation on other scenarios and options. Exercise caution here! Choose the source disk – the original disk you are cloning from. In this case, it’s easy to tell – we’re going from a Western Digital regular hard disk to a Samsung SSD, so I choose the WD disk as my original. There are only two disks attached to this system, so there’s only one disk left to choose, the SSD. If your system has multiple disks attached, play close attention! The destination disk will be overwritten, destroying any data on it! If disk is healthy, you can skip checking. Clonezilla and other disk imaging systems will have problems on an unhealthy disk. In this case, I know the disk is healthy because I checked it using a SMART disk info utility. I also deleted temp files and cleaned up profiles before I began to make things go as smoothly and quickly as possible. You’ll want to make that part of your disk cloning checklist. Here, you get a peek behind the curtain. Clonezilla is actually a scripted GUI interface to the ocs-onthefly Linux command, which you can use in expert mode. Note the options, and later on, you can drop out to the command prompt and look at the man page or read about it on Clonezilla’s web site. The choices you have made result in this command script stored in the /tmp directory. Clonezilla does a first safety check here for a review of your source and destination disks. Check carefully before hitting Y for yes! And, Clonezilla gives one more sanity check – a chance to make absolutely sure you have the source and destination disks right, before you overwrite the entire destination disk, destroying any data that’s on it. Finally, Clonezilla shows the partition table for the disk being imaged when you are doing a full disk clone. This disk has three actual usable data partitions (it’s a dual-boot Windows and Linux system) and several utility partitions. Hit Y for the last time and Clonezilla will go to work. As it runs, Clonezilla will show in a text screen the status of the current partition being imaged including the elapsed time and estimated time until the current partition is complete. The small utility partitions go quickly. Larger partitions with lots of data take more time as might be expected. Go have a cup of coffee, attend a meeting or go to lunch. 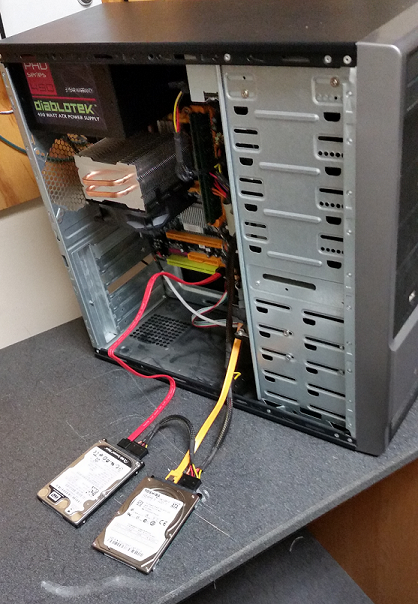 This was a 500GB drive, but it only had about 200GB of data on it; the actual clone took less than a half hour. Still, it takes time to move that much data even when we’re connected directly to the storage controller and going straight from disk to disk. When cloning an image to an external USB drive, it will move fairly quickly if you are using a USB3 port and drive, otherwise it will crawl along. Be patient. Clonezilla works well even if you are using slow equipment. When the job is done, Clonezilla will tell you and give you a prompt to exit to the shutdown screen. This concludes the tutorial. Explore the Clonezilla tool, which is, hands down, the best and easiest to use disk cloning utility on the planet – and it’s FREE. It will become an absolutely indispensable part of your tech toolkit! Clonezilla exist as long as the computer has Cobol was invented ! Release 1.09 is pakaged in 2008 ! However the guymager tool is interesting, I would be happy if you can share some more informato about digital forensic investigation. These two work together for the purpose of gathering evidence that will stand up in a court of law should it be needed. The forensic image is mountable and is a physical image of the disk structure including all space on the disk including deleted files. The metadata image includes the hash of the original disk and that of the created image, as well as investigator identification, system identification, and other information necessary documentation for chain of custody. The purpose of the tutorial is to be able to gather quality evidence. What is done with the evidence after it is gathered is really outside the scope of a tutorial, since investigation could have many different purposes and go in just about any direction. So actual forensic investigation depends on what you’re looking for. Awesome info… Thanx for sharing.. Thanks for all this useful information. As a beginner I’m finding this information valuable and useful.